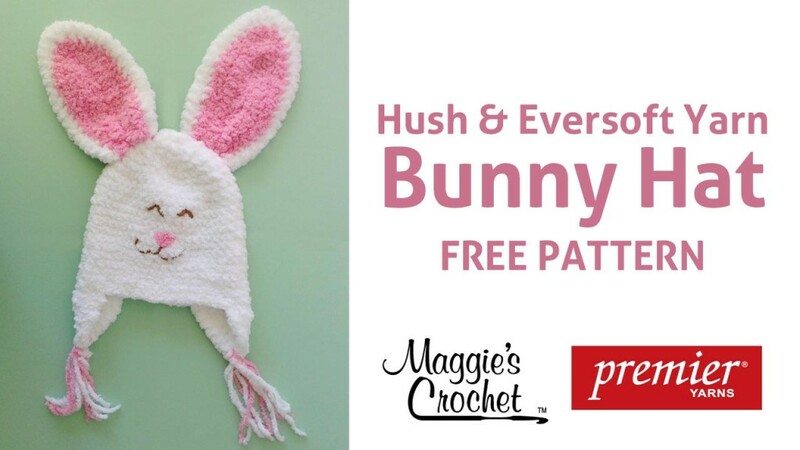 The Easter Bunny is on his way, and we’d like to welcome him with five adorable crocheted bunny patterns. 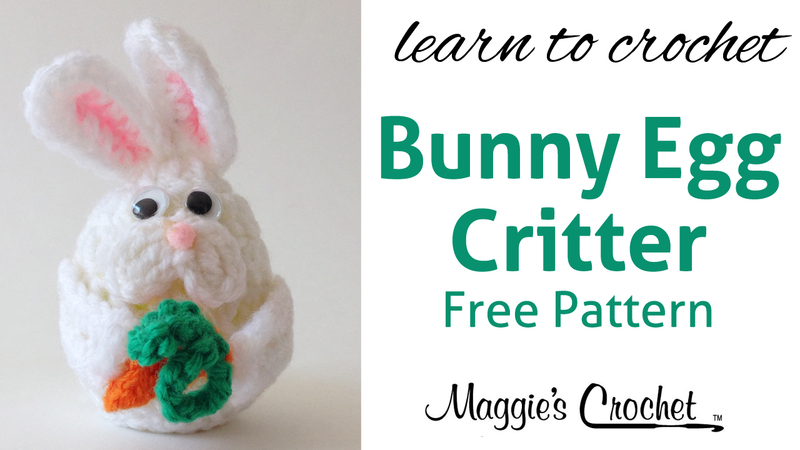 These bunnies are super cute and super easy, and the best part is – the patterns are FREE! 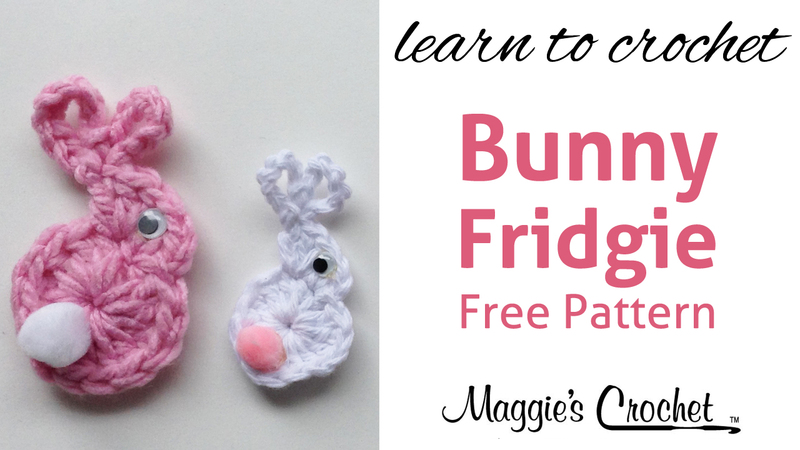 You will enjoy stitching up these cute little bunnies to decorate your home for Easter or to make great little wearables – just add a pin to the back of the bunny and you’re all set! 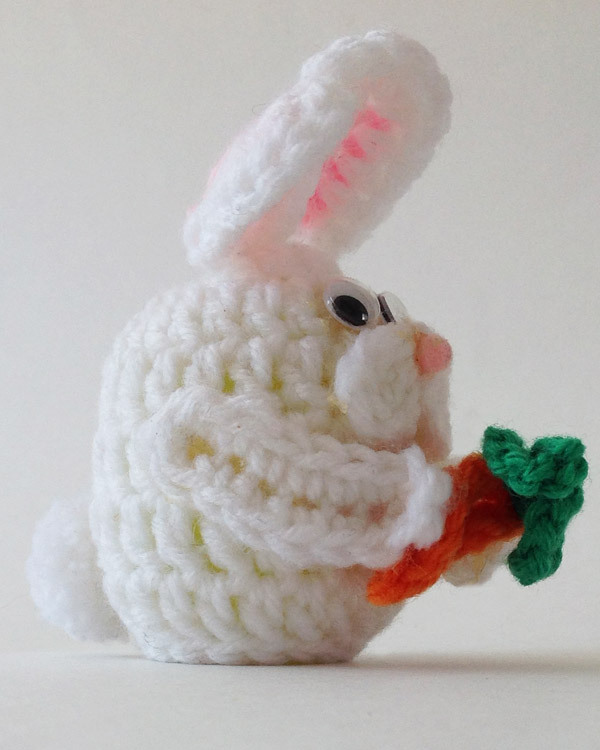 The first bunny in our collection is Bunny Egg Critter (FP143) He’s ready for a carrot snack! 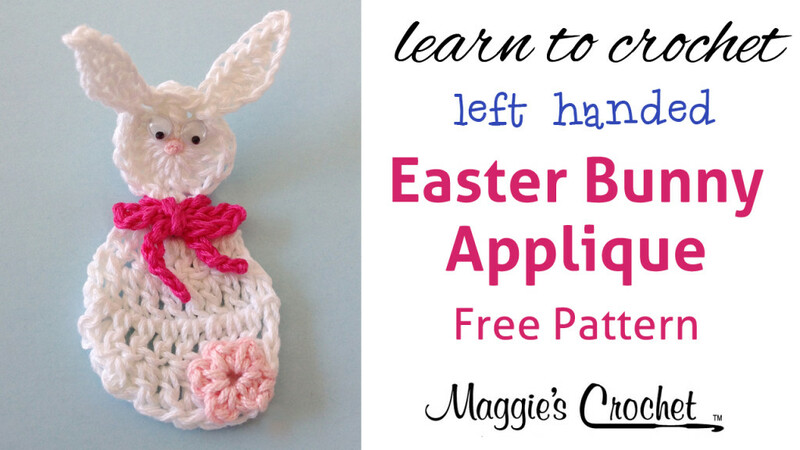 Click on the picture below to go to the right-or-left-handed video lesson. 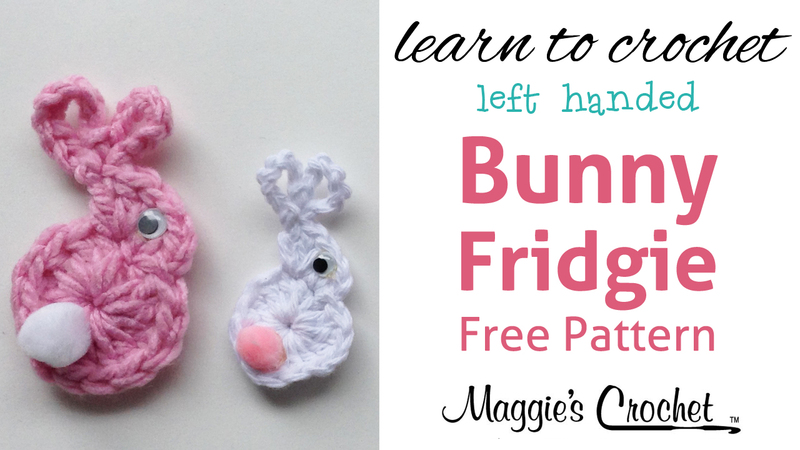 The next bunny is Long Ears Easter Bunny Face (FP217). 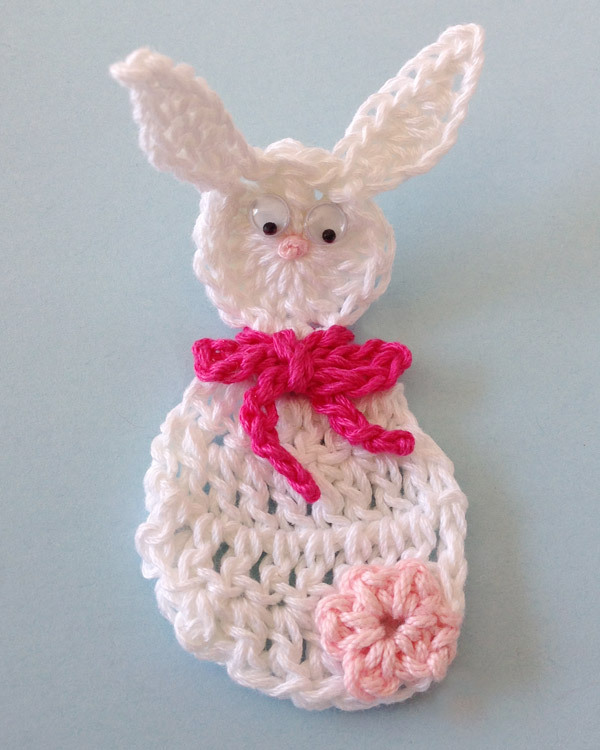 This little bunny face with l-o-n-g bunny ears is crocheted using size 3 crochet thread or sport weight yarn. Floppy Ears Bunny fridgie (FP140) is so cute with a pom pom nose and bow. 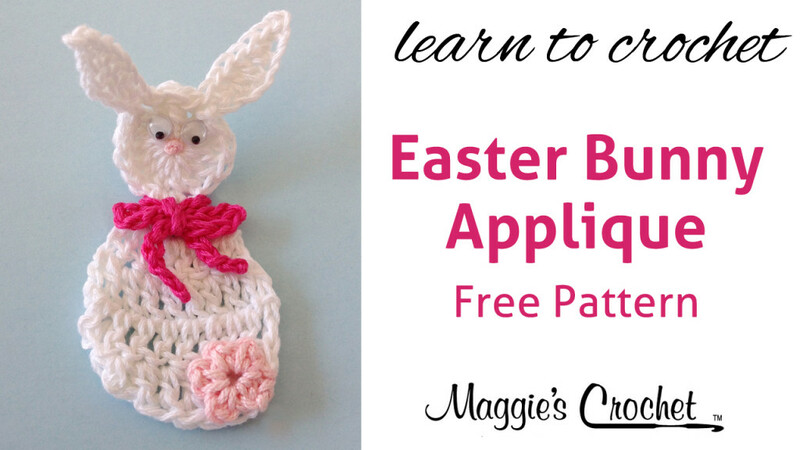 Easter Bunny Applique (FP218) works up great in sport weight yarn or Lizbeth thread. 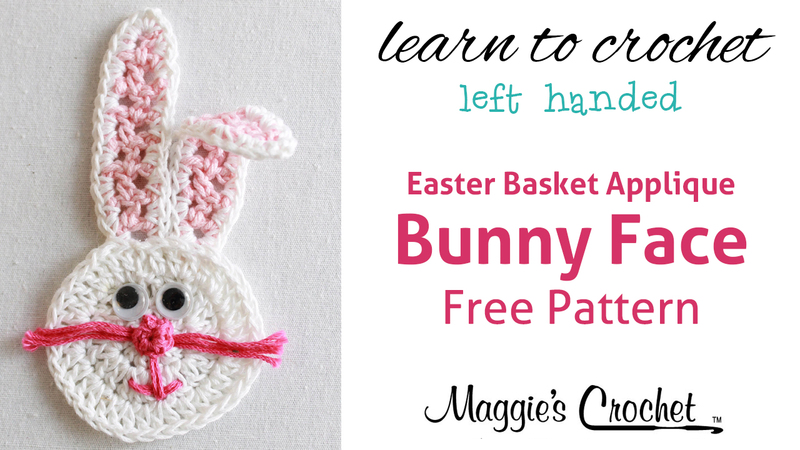 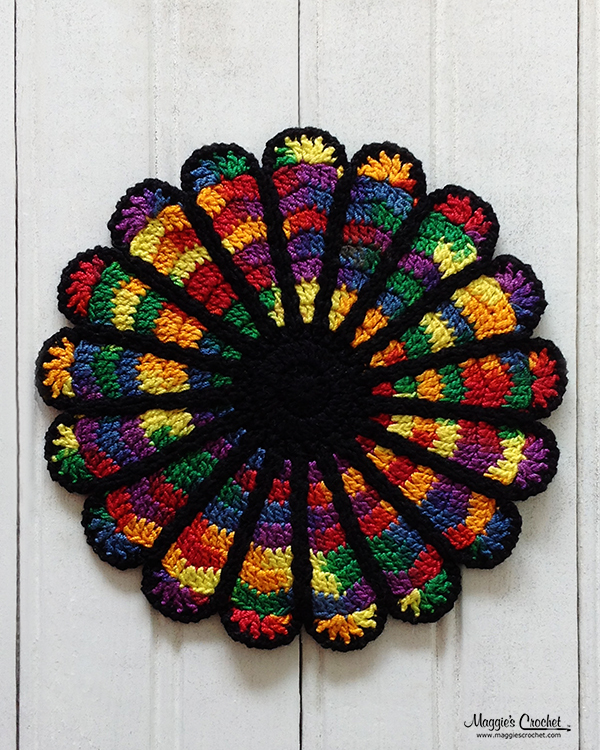 Click on the photo for the free pattern. 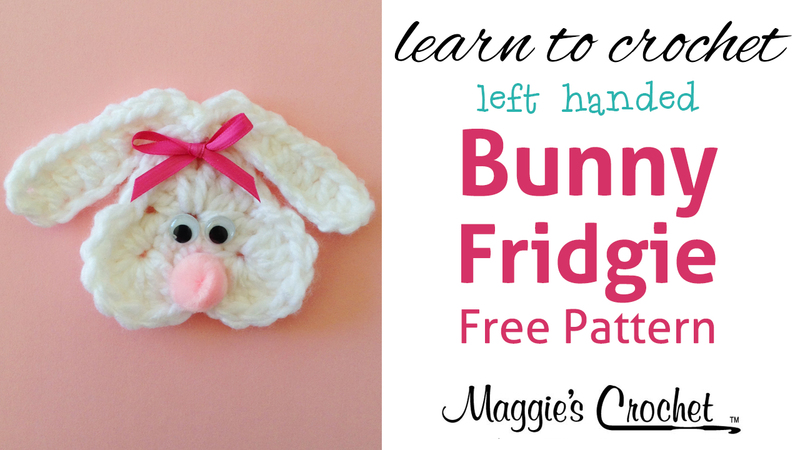 Bunny Family fridgie (FP476) pattern features a large and small bunny pattern. 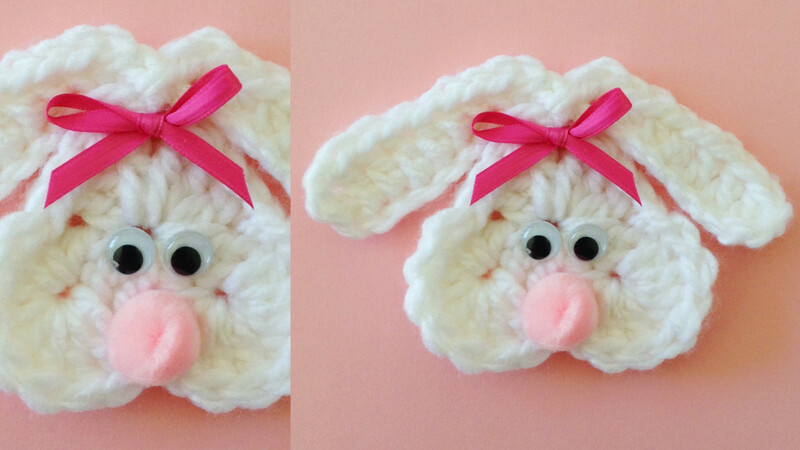 Which bunny is your favorite? 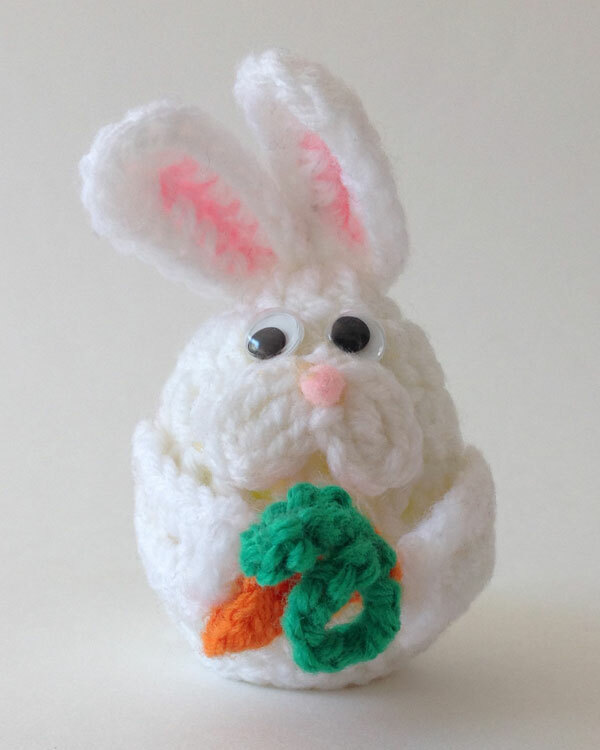 We love them all, and hope you enjoy making these precious little bunnies. 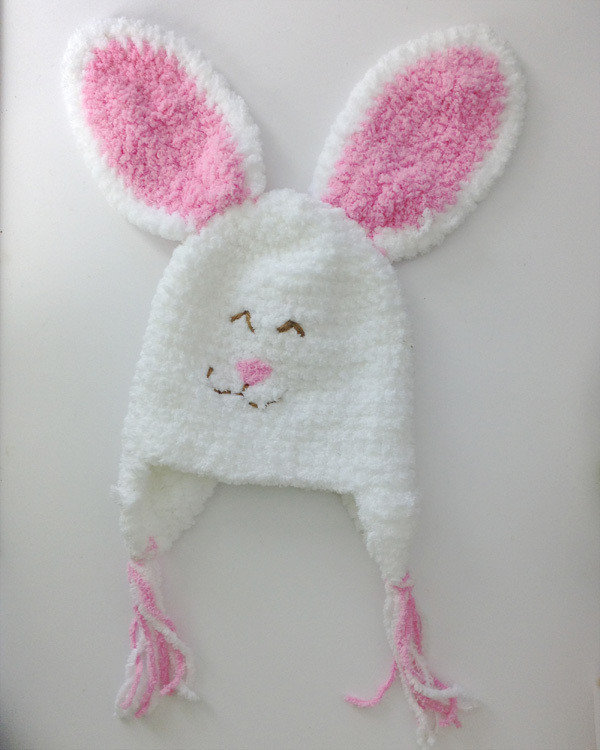 But before you go, don’t miss the Zookeeper Bunny Hat! 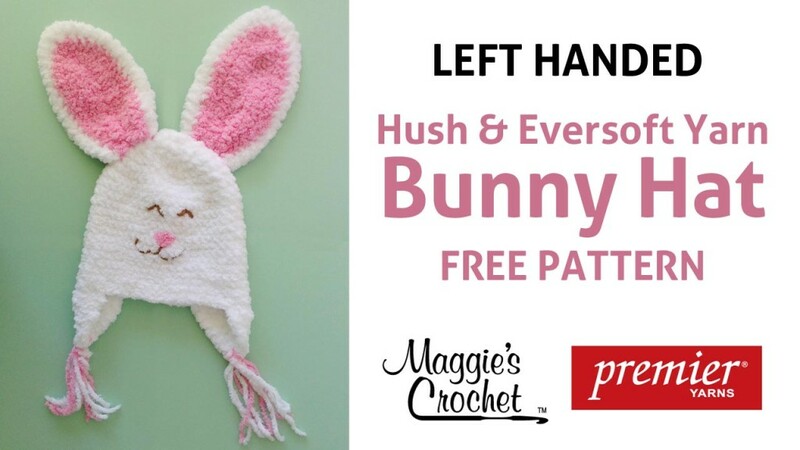 Anyone in the family can have a fun bunny hat as there are both knit and crochet directions for three different sizes, from infant to adult. 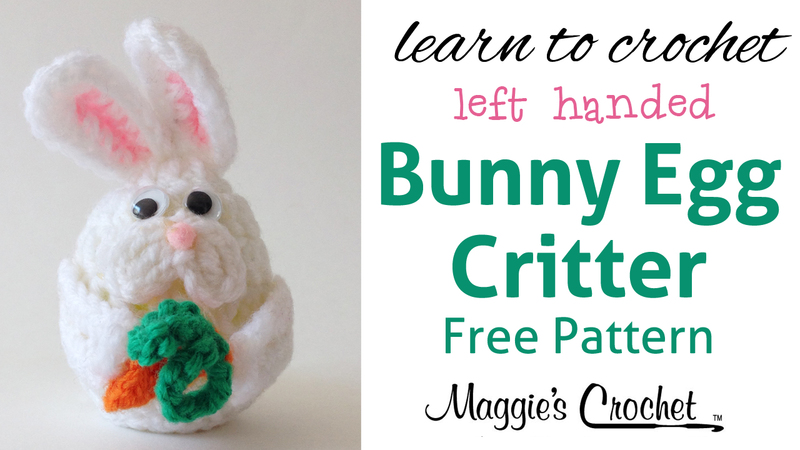 Knitting or crocheting a hat for a boy bunny? 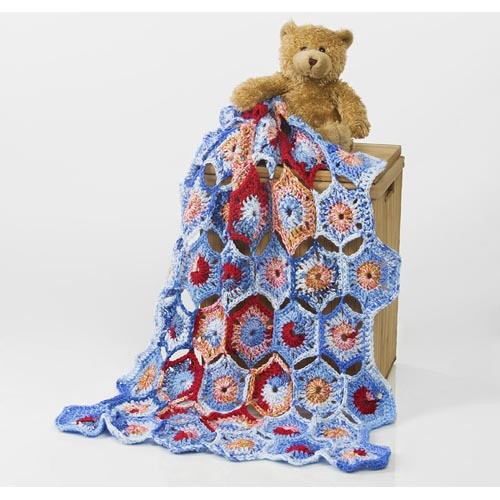 Simply switch out the pink yarn for blue. 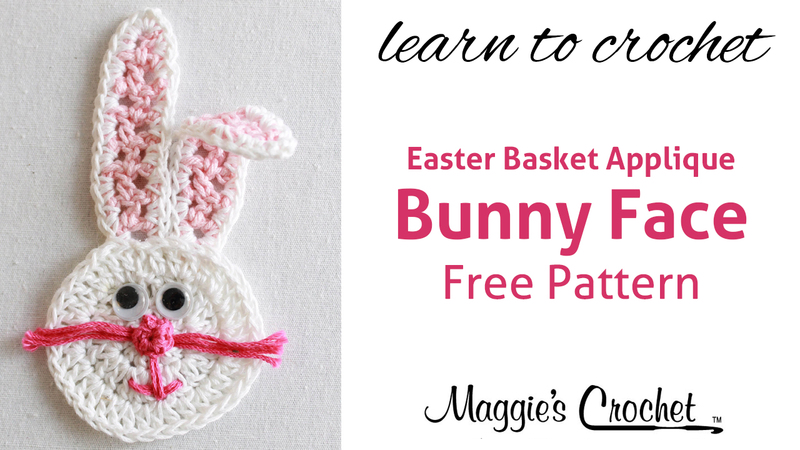 Do you need an Easter basket to go with your bunnies? 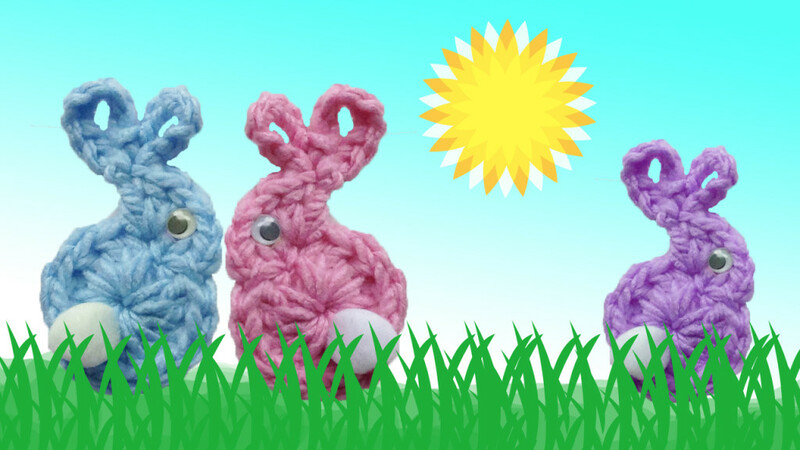 We have two Easter basket projects for you: Cuddle Fleece Small Easter Basket and Serenity Chunky Easter Basket.